It is a widely discussed hypothesis that Viking seafarers might have been able to locate the position of the occluded sun by means of dichroic or birefringent crystals, the mysterious sunstones, with which they could analyze skylight polarization. Although the atmospheric optical prerequisites and certain aspects of the efficiency of this sky-polarimetric Viking navigation have been investigated, the accuracy of the main steps of this method has not been quantitatively examined. To fill in this gap, we present here the results of a planetarium experiment in which we measured the azimuth and elevation errors of localization of the invisible sun. In the planetarium sun localization was performed in two selected celestial points on the basis of the alignments of two small sections of two celestial great circles passing through the sun. In the second step of sky-polarimetric Viking navigation the navigator needed to determine the intersection of two such celestial circles. We found that the position of the sun (solar elevation θS, solar azimuth φS) was estimated with an average error of +0.6°≤Δθ≤+8.8° and −3.9°≤Δφ≤+2.0°. We also calculated the compass direction error when the estimated sun position is used for orienting with a Viking sun-compass. The northern direction (ωNorth) was determined with an error of −3.34°≤ΔωNorth≤+6.29°. The inaccuracy of the second step of this navigation method was high (ΔωNorth=−16.3°) when the solar elevation was 5°≤θS≤25°, and the two selected celestial points were far from the sun (at angular distances 95°≤γ1, γ2≤115°) and each other (125°≤δ≤145°). Considering only this second step, the sky-polarimetric navigation could be more accurate in the mid-summer period (June and July), when in the daytime the sun is high above the horizon for long periods. In the spring (and autumn) equinoctial period, alternative methods (using a twilight board, for example) might be more appropriate. Since Viking navigators surely also committed further errors in the first and third steps, the orientation errors presented here underestimate the net error of the whole sky-polarimetric navigation. T. H. McGovern, “The archeology of the Norse North Atlantic,” Annu. Rev. Anthropol. 19, 331–351 (1990). O. Olsen and O. Crumlin-Pedersen, Five Viking Ships from Roskilde Fjord (National Museum, 1978). S. Thirslund, Viking Navigation: Sun-Compass Guided Norsemen First to America (Gullanders Bogtrykkeri a-s, 2001). B. Bernáth, M. Blahó, Á. Egri, A. Barta, and G. Horváth, “An alternative interpretation of the Viking sundial artefact: an instrument to determine latitude and local noon,” Proc. R. Soc. A 469, 20130021 (2013). B. Bernáth, A. Farkas, D. Száz, M. Blahó, Á. Egri, A. Barta, S. Åkesson, and G. Horváth, “How could the Viking sun-compass be used with sunstones before and after sunset? Twilight board as a new interpretation of the Uunartoq artefact fragment,” Proc. R. Soc. A 470, 20130787 (2014). T. Ramskou, “Solstenen,” Skalk 2, 16–17 (1967). P. G. Foote, “Icelandic sólarsteinn and the Medieval background,” J. Scandinavian Folklore 12, 26–40 (1956). A. Le Floch, G. Ropars, J. Lucas, S. Wright, T. Davenport, M. Corfield, and M. Harrisson, “The sixteenth century Alderney crystal: a calcite as an efficient reference optical compass?” Proc. R. Soc. A 469, 20120651 (2013). K. L. Coulson, Polarization and Intensity of Light in the Atmosphere (A. Deepak, 1988). B. Bernáth, M. Blahó, Á. Egri, A. Barta, G. Kriska, and G. Horváth, “Orientation with a Viking sun-compass, a shadow-stick and calcite sunstones under various weather situations,” Appl. Opt. 52, 6185–6194 (2013). C. Roslund and C. Beckman, “Disputing Viking navigation by polarized skylight,” Appl. Opt. 33, 4754–4755 (1994). I. Pomozi, G. Horváth, and R. Wehner, “How the clear-sky angle of polarization pattern continues underneath clouds: full-sky measurements and implications for animal orientation,” J. Exp. Biol. 204, 2933–2942 (2001). L. K. Karlsen, Secrets of the Viking Navigators (One Earth, 2003). B. Suhai and G. Horváth, “How well does the Rayleigh model describe the E-vector distribution of skylight in clear and cloudy conditions? 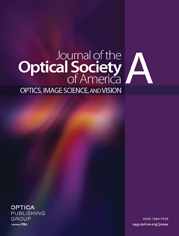 A full-sky polarimetric study,” J. Opt. Soc. Am. A 21, 1669–1676 (2004). A. Barta, G. Horváth, and V. B. Meyer-Rochow, “Psychophysical study of the visual sun location in pictures of cloudy and twilight skies inspired by Viking navigation,” J. Opt. Soc. Am. A 22, 1023–1034 (2005). R. Hegedüs, S. Ǻkesson, R. Wehner, and G. Horváth, “Could Vikings have navigated under foggy and cloudy conditions by skylight polarization? On the atmospheric optical prerequisites of polarimetric Viking navigation under foggy and cloudy skies,” Proc. R. Soc. A 463, 1081–1095 (2007). G. Horváth, A. Barta, I. Pomozi, B. Suhai, R. Hegedüs, S. Ǻkesson, V. B. Meyer-Rochow, and R. Wehner, “On the trail of Vikings with polarized skylight: experimental study of the atmospheric optical prerequisites allowing polarimetric navigation by Viking seafarers,” Phil. Trans. R. Soc. B 366, 772–782 (2011). G. Ropars, G. Gorre, A. Le Floch, J. Enoch, and V. Lakshminarayanan, “A depolarizer as a possible precise sunstone for Viking navigation by polarized skylight,” Proc. R. Soc. A 468, 671–684 (2012). G. P. Können, Polarized Light in Nature (Cambridge University, 1985). G. Horváth, B. Bernáth, B. Suhai, A. Barta, and R. Wehner, “First observation of the fourth neutral polarization point in the atmosphere,” J. Opt. Soc. Am. A 19, 2085–2099 (2002). G. Horváth and D. Varjú, Polarized Light in Animal Vision—Polarization Patterns in Nature (Springer Verlag, 2004). E. Batschelet, Circular Statistics in Biology (Academic, 1981). A. E. J. Ogilvie, L. K. Barlow, and A. E. Jennings, “North Atlantic climate c. ad. 1000: millennial reflections on the Viking discoveries of Iceland, Greenland and North America,” Weather 55, 34–45 (2000). R. Hegedüs, S. Ǻkesson, and G. Horváth, “Polarization patterns of thick clouds: overcast skies have distribution of the angle of polarization similar to that of clear skies,” J. Opt. Soc. Am. A 24, 2347–2356 (2007). R. Kammann, “The overestimation of vertical distance and slope and its role in the moon illusion,” Perception Psychophys. 2, 585–589 (1967). M. Hershenson, The Moon Illusion (Erlbaum, 1989). Fig. 1. Three main steps of sky-polarimetric Viking navigation. A, step 1: estimation of the direction of skylight polarization with sunstones. B, step 2: estimation of the intersection of the two celestial great circles across the selected two sky points and parallel to the scratches on the sunstones. C, step 3: estimation of the northern direction with the Viking sun-compass (left, side view of the sun-compass; right, sun-compass disk seen from above). Further details in the text. Fig. 2. Geometry of our planetarium experiment with the Digitarium ε projector in the center, the test person, the fisheye camera, and the two black bars projected onto the white planetarium dome with a diameter d=8 m. The sun position to be guessed by the test person is at the above-horizon intersection of the two celestial great circles 1 and 2 passing through and parallel to the black bars 1 and 2. There are four free parameters: solar elevation angle θS, angular distances γ1 and γ2 of the center of bars 1 and 2 from the sun, and angle δ between the planes of circles 1 and 2. The test person marked the estimated sun position with a green laser spot. Δφ and Δθ are the azimuth error and the elevation error, respectively, between the real and estimated sun positions. The bottom of the dome was at θdome=8° above the real horizon being at the eye level of the test person. Fig. 3. A, the test person sat immediately next to the planetarium projector almost at the center of the hemispherical dome. He was instructed by the experiment leader (i) to observe the two black bars projected onto the white dome, (ii) to estimate the position of the invisible sun (i.e., the intersection of the two great circles passing through and parallel to the bars), and (iii) to mark the position of the estimated intersection with a green laser spot. The instructor of the experiment photographed the dome by a fisheye camera with a vertical optical axis. The pale radial pattern (composed of a circular and 24 radial thin white lines) visible on the white dome originated from the structure of the canvas composed of several sectors. B, example for the image projected onto the planetarium dome showing a measurement situation with the two black bars, and the three (red, blue, violet) calibration spots at an elevation θ=10°. The number under the blue spot codes the image number of the script file. In this example, the values of the four free parameters of the black bars were θS=41°, γ1=84°, γ2=50°, and δ=129°. C, the azimuth error Δφ and the elevation error Δθ between the real sun position (white dot) and the estimated sun position (green dot) were calculated after the undistortion and appropriate rotation of the photographed calibration image (PCI). D, the sun is positioned at the intersection (φS=0, θ=θS). The arcs of the two great circles across and parallel to black bars 1 and 2 were not projected during the tests. Fig. 4. Undistortion procedure of the 180° field-of-view photographs taken about the planetarium dome. A, Calibration image (CI) projected before each script with specific colored spots placed on the grid points. B, slightly off-axis and off-center photograph of the dome with the photographed calibration image (PCI). Recognition of the appropriate grid point pairs was performed with the help of the colored spots that mark the grid points. C, the black and gray nets represent the grid in the CI and PCI, respectively. The recognized vectors of the grid points were used to calculate the correct pixel colors for each pixel: the v̲ vector is interpolated from the bracketing u̲i,j, u̲i+1,j, u̲i,j+1, and u̲i+1,j+1 vectors. D, result of the undistortion procedure performed on the PCI. Fig. 5. A, B, circular histograms (radial, number of cases N; azimuthal, angle, bin width=2°) of the azimuth errors Δφ and elevation errors Δθ of sun localization by 11 test persons in our planetarium experiment. Black arrows show the directions of the average error vectors, the length of which is R. C, plot of Δθ versus Δφ showing the scatter of both errors. Fig. 6. A, Average vectors of the azimuth error Δφ and B, elevation error Δθ of the 11 test persons studied in our experiment. The identity numbers of the test persons are at the corresponding arrow heads. R, vector length. Fig. 7. Average vectors of the compass direction error ΔωNorth in all measurement situations at spring equinox (21 March) and summer solstice (21 June) at the 61° latitude calculated from the azimuth and elevation errors Δφ and Δθ of the 11 test persons studied. Black arrows show the directions of the average error vectors ΔωNorth. The radius of the semicircles is proportional to the length R of the average vectors. The average vectors of ΔωNorth belonging to spring equinox are rotated by 180° for the sake of a better visualization. Fig. 8. On a precisely orientated Viking sun-compass the gnomon’s shadow tip Sn (n=1, 2, 3, 4, 5) falls on the gnomonic line (thick solid lines), the mirror symmetry axis of which (dashed line) marks the true north. The estimated shadow tip Sn′ (n=1, 2, 3, 4, 5) is off the gnomonic line; thus the compass should be rotated along its vertical axis by an angle ΔωNorth≡PnGSn′ (called the compass direction error) between radii GPn and GSn′ in order to move Sn′ to the gnomonic point Pn. If all the angles SnGSn′ are identical, angle PnGSn′ is proportional to the angles enclosed by the shadow GSn and the gnomonic line marked by single arcs for the spring equinox (A, 21 March) and by double arcs for the summer solstice (B, 21 June). At solstice, rotating the sun-compass by ΔωNorth valid for equinox (P1GS1′ or P3GS3′) moves the estimated shadow tip (S2′ and S4′) off the gnomonic line (P1′ and P3′). Identical solar elevation angle, azimuth error, and elevation error results in different ΔωNorth in the morning (P2GS2′) and in the afternoon (P5GS5′).